This this ride still happening. Wind or no wind? Is the ride happening? yes or not? Not sure but ill be there. So who is down for this ride? Flutters or not? 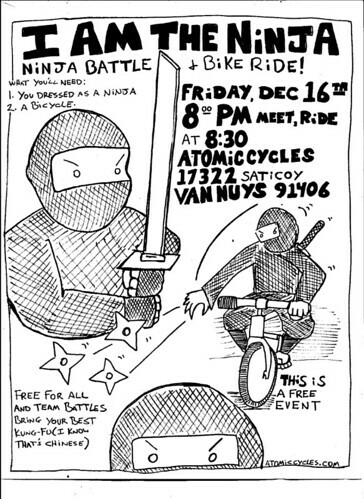 Now, if you're a real ninja you can come to the ninja battle on the 16 and see who is the greatest ninja in the land.